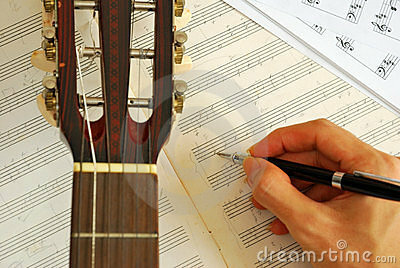 Composing music tracks on the guitar is something that every composer should become familiar with. In particular, the guitar offers a new perspective on how music notes relate and work together compared to that of the piano. Although the piano is without a doubt the powerful instrument for music composition, knowing how to compose music on the guitar is a valuable skill as well, and those interested in becoming as knowledgeable about music as possible should study guitar composition in addition to any other music instruments. The reason that most composers focus on the piano is clear; you can play ten or more notes at once, you can play multiple parts at once with relative ease, and you have a very wide tonal range of multiple octaves. These facts make it easy to experiment with a full arrangement of sounds, where on other music instruments you may only be able to play one melody line at a time. Music Composers used the piano because it could give them a complete picture of their compositions in a way that no other instrument could. The guitar cannot get quite as much into the realms of playability, but it does offer a few advantages that piano composers are unable to access. One of the most significant of these is the fact that you can move chord shapes around with great ease on the guitar. A major chord for example can be slid up and down the fret board without needing to take white notes and black notes into account. On a piano, you can certainly move major chords around, but you have to adjust them for the white and black key differences. This big effort required for moving chord shapes around on the guitar can allow you to use more of those types of chord motions in your compositions. They are a technique not used often by piano players because of the instrumental differences and the general music tradition, which doesn’t often move the same types of chords around a lot. 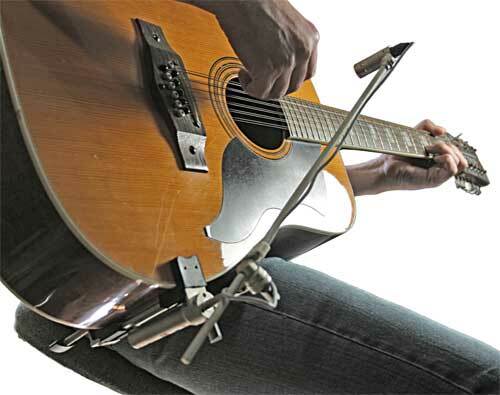 In addition to these chordal motion differences, the guitar allows you to use alternate techniques such as string bends, sliding, and strumming; all of which the piano cannot duplicate. These techniques can really help you shape compositions that will greatly differ from the usual piano pieces, and with most other composers using the piano, this can help set you apart. The guitar offers you a different look at the arrangement of musical notes, and it can help you tap into new type of melody. In music theory, the more music instruments you are familiar with, the more varied your compositions can be, and the more adept you will be at writing for other instruments, so it is a great idea to start learning them. With this in your mind, the guitar, and its ability to play both chords and melody, is probably the first place to start. A music composer is someone who plays with beats and turns out a piece of melody. This music could be soothing or unpleasant. It is said that what a composer produces greatly hinges on what they feel while composing the music. about yourself as a performer. When people hear the term 'jig', they don't necessarily associate it with dancing. a terrific online profit as soon as possible. of the product. No make a difference what sort of fat coaching regimen you. be unable to read the files effectively. can actually try this muscle building system for a few weeks and see the results without any risk at all. those dumbbells and equipments to place on high level of quality muscle quickly. with a tray of offspring.